Best of OKC was the first organized, reader-driven effort to support OKC local arts, food, entertainment and personalities. Its also the longest-running contest in the city. It has been copied many times  The Oklahoman has its version, as do The Tulsa World, The Moore Daily, Oklahoma Magazine and many others. When Oklahoma created the Best of OKC in the 1980s, we committed ourselves to a hyper local, credible poll of our readers to recognize the best in personalities, goods and services in Central Oklahoma, said Bill Bleakley, owner and publisher of Oklahoma Gazette. And, boy, has it grown. This year, we received more than 200,000 votes in 85 categories. Back in 1985, categories included everything from Cleanest Public Restrooms to Best Full-Service Gas Station (Remember those places?) and Best Place to Have an Accident (unrelated to the bathroom category). By the mid- 90s, however, people were voting for MAPS as the Best Thing to Look Forward to in the Next Year. In the mid-aughts, readers were aflutter about meteorologist Gary England (now retired) for Best Television Personality Whos Too Good for This Market. This year, we delve into myriad local food genres, restaurants, bartenders, chefs, shopping locations, karaoke joints, blogs, smartphone apps and more. More than 20 percent of metro residents read Oklahoma Gazette every week, and its the largest independent weekly newspaper in the state. Weekly cumulative readership tops 207,000. So when readers speak, it matters to us. And each voice counts. Dont be fooled. 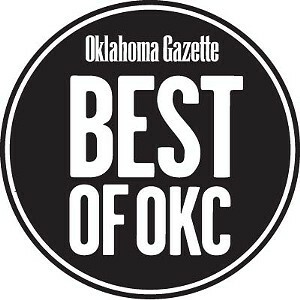 Oklahoma Gazettes Best of OKC is the original all-local, community-driven survey, and its organized by Oklahomas largest locally owned independent newsweekly. Read more and see this years winners of the 2014 Best of OKC.